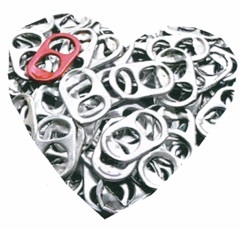 The Shrine Club of Southeastern MA collects pull-tabs, cashes in the aluminum, and donates the proceeds to the Shriners Hospitals for Children, the leading hospital for burn victims located in Boston, MA. The Aleppo Shriner’s (the parent organization) have collected over 15 tons of pull-tabs and have raised over $310,000 in a single year to provide transportation to the Shriners Hospital. Your help continues to make this possible and is greatly appreciated by the children treated. For more information or if you know of a child that you think the Shriners Hospital may be able to help or you have pull-tabs that you need to be picked up or you would like to set up a collection location, please call 774 263 5018.